Nexstep Commercial Products (Exclusive Licensee of O-Cedar) is committed to protecting the environment and improving the current state of Earth’s ecosystem. For more information on how to conserve energy visit www.ticktockenergy.com. Being a responsible corporate citizen means…protecting our environment. “Ecofriendly” solutions promote a clean environment by helping eliminate toxins that pollute air, water and other natural resources. Using renewable resources and generating less waste will create a stronger sustainable future by reducing production costs and controlling clean-up costs. Recyclable products require less energy to manufacture and generate less waste. Green is rapidly becoming a requirement. Governments – federal to local – are enacting more environmentally friendly laws every day. 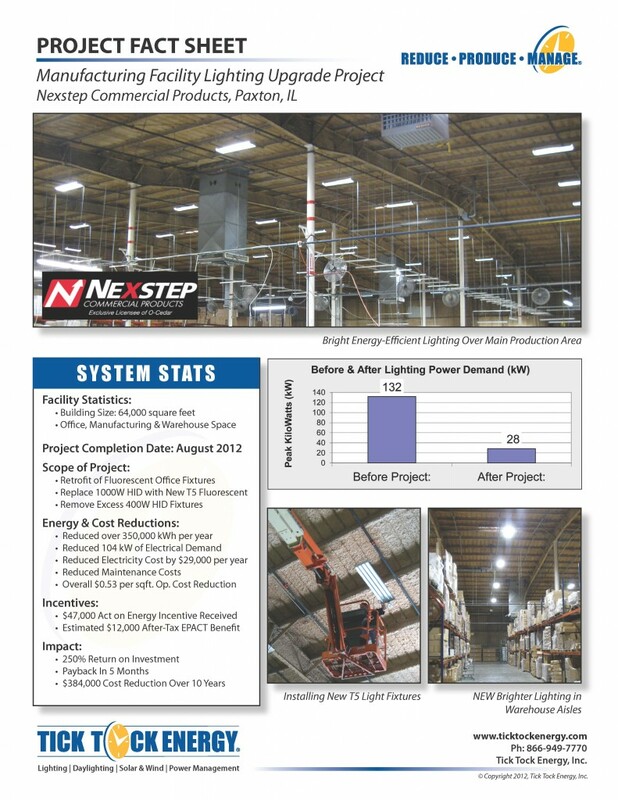 How are Nexstep Commercial Products Green? “Nexgeneration” Solutions are classified into one or more of the following categories. The vast majority of the yarn used in our wet mops is made from 100% post-industrial waste making it completely biodegradable. Our plastic “Nexgeneration” solutions are comprised of virgin/recycled resin which conserves natural resources and diminishes waste going into landfills. Bamboo – grows one third faster than the fastest growing tree, is harvested with no environmental impact and is capable of complete regeneration without replanting – is used in many of our wood handles. Microfiber, which employs split fiber construction, provides effective cleaning through its microscopic “hooks” and reduces the need to use stringent chemicals. Today’s latest technology – Microfiber – makes our environment healthier and safer. Through “state-of-the-art” package engineering, our cartons use the least amount of corrugated in order to conserve our natural resources while providing superior product protection. For example…our new Flat-Pak™ Mop Packaging reduces the size of a standard mop carton by 45% while providing outstanding product protection and saving valuable space. All of our cartons are made from 100% recycled pulp which reduces waste going into landfills and conserves natural resources.